Advertising Management Software is combined with thousands of advertising production (including but not limited to inkjet, sculpture, photo, Inkjet Printing,Design,Install,Gaint Image,Account,luminous characters produced, acrylic, signs, banners and other production) tailored to develop a large advertising company for modern enterprise management A set of process management software system. Software features simple operation, functional and practical, concise interface will be typing "fool" can use the management system. Multi-channel data backup software through a variety of storage media can be backed up and the use of modern cloud technology, data can be backed up to the network hard drive, and even direct data can be stored to the cloud server, to achieve multi-store, company, home, Geographical visit. Centralized data management, no longer lost. Prevent leakage orders, lost orders, missed receipts and other traditional manual billing mode common situation is that you completely change the status quo of the traditional management mode of choice. 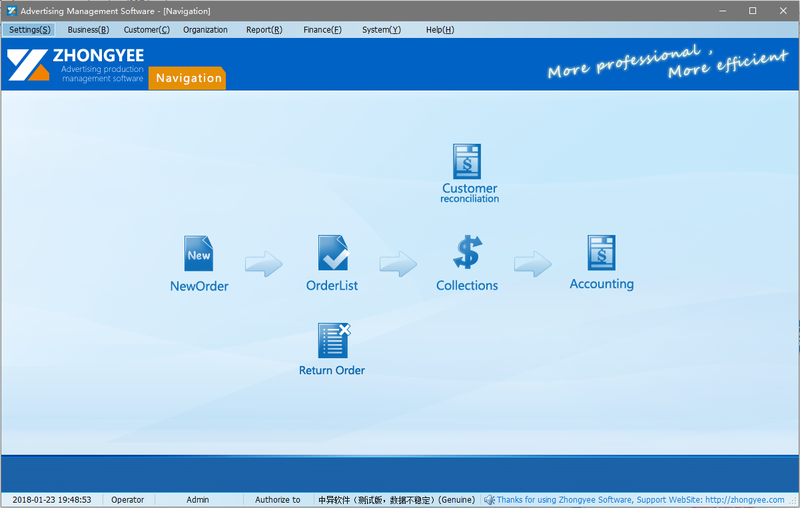 Order is not standardized, monthly client difficult to deal with, business order printing, simple financial management, accounts receivable at a glance, not to worry about finishing bills, saving time and effort. 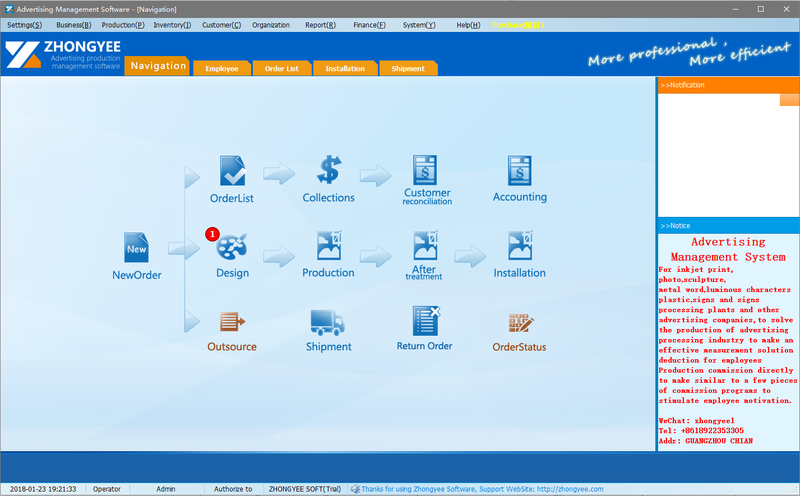 Order management, business single printing, billing convenience, no more orders are not chaos, do not lose a single. Standardize business orders, reduce errors and errors, reduce material loss, improve production efficiency, and timely statistical analysis of financial profit and loss status. Let your management company no longer work hard, from the trivial matter.